Are Siberian Cats Safe With President Trump? NO! 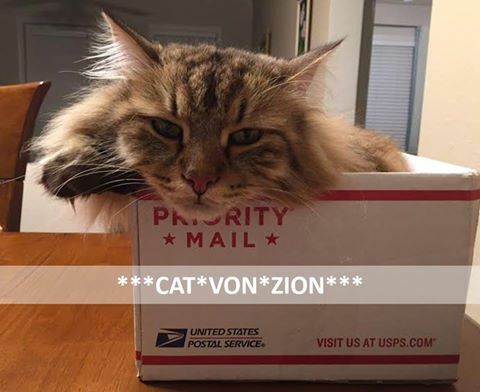 Posted by Hobbes Von Zion on Nov 15, 2016 in Blog, Zion | Comments Off on Are Siberian Cats Safe With President Trump? NO! Guys, I’ve never been so scared in my life before! Just can’t stop thinking about that guy in the White House for the next four, maybe eight years. What is going to happen to us, Siberian-American cats? I’ve been thinking about going back to my grandpa’s Siberia, in Russia, where we really have democracy and freedom with President Putin. But my humans, they are Brazilians and wouldn’t survive the first winter in Siberia. What a conundrum! All this because of that guy with a wild blonde crazy dog hair. I bet he’s a dog person, must be! Or even worst, a dog disguised as a human. That’s why he hates us so much. But I have faith, and I’m in touch with the SFCAA – Snow Flake Cats of America Association – and we’ll fight for the safe place that we are entitled to. I’m warning you, Donald, don’t mess with our boxes, or there will be trouble, and we know how to put up a fight! Prepare your claws, minority cats of America!